Today is contest day. Wish I had planned this earlier so you could have it by Christmas....but no I didn't think of it until today. I ordered 4 molds from House on the Hill. Below are pictures of the molds offered in the contest. I will have 2 Santa molds. This is one of my favorite! The second mold in the contest is the deer below. I haven't made him yet...but he looked very wintery and nice. If you would like to be entered into the contest leave your name and which mold you would like. I will do the random number thing and try to match you up with the right mold....but I can't promise. There are 4 molds...so 4 winners! Good luck and hope you win! One entry per person. The contest closes Saturday night. Will announce the winners on Sunday. Alma, How sweet you are! I would be happy to win either one. I have a couple of these wonderful molds, and there is always room for more. I would love to win a mold and my favorite is the Santa! Merry Christmas! Hello Alma, We met at Boxwood and Berries this year, you and Barb we so much fun. We had a great time. I would love to win any of the molds as I don't have any. Thanks so much for the chance. Happy Holidays to you and yours and of course Barb too!!!!!!!!!!!!!! The molds are beautiful, I use to have some from Germany but in many moves they have been lost, I am sad so I really need one of these molds:) I enjoy your blog and all of your designs, fabrics, etc, keep up the good work because you have a very appreciative public!! Alma, both molds are so cool that having to pick one over the other is impossible. You have posted so much to inspire us and get us in the Christmas mood......thank you. Wow, they are so pretty. Please keep me in mind! Merry Christmas! Oh, how nice! My favorite is also the Santa Mold with the tree! Thanks for a great giveaway. Oh my gosh those molds are so cool! I really love the Santa mold. Happy holidays! If I win (please), I'd love the Santa mold. Thank you so much for such a delightful and generous giveaway. Happy Holidays! I would love to win the Sants mold. Than you. Merry Christmas. They are indeed both beautiful; I used to have some wonderful old wooden molds but a house fire made quick work of all....I'd be delighted with the deer, since I see them out my window nearly every day summer or winter. I love them both and would be proud to own either one. Thank you so much for your generosity. What a generous offer! I have been totally in love with these molds since seeing them on your blog. I would be delighted with either but since the deer reminds me of the elk that graze on our hillside, I am leaning toward the deer. These are so beautiful. After I read your post about making these cookies, I went to the site to investigate. I'm going to have to have some of them. I can't believe you're being so generous as to give them away! Please enter me in your contest. What a wonderful prize! Please include me in the contest for either mold. The molds are lovely! And I'm trying to decide what to make for the annual cookie exchange on Saturday. :) Please enter me in your drawing-Santa first choice, Deer second choice. I would love to win either mold. They are both very pretty and would make for some nice Chrismas memories. I would love to be the happy winner of either of these molds. what a wonderful and generous give away! I would be thrilled to win either! Thank you! Oh, my. That Santa mold is beautiful - I'm going to keep my fingers crossed tight!! Wow! They're both so awesome, I'd be happy as pie to win either! Thanks so much for the generous giveaway! Such a beautiful holiday giveaway! I love both molds so I would be happy winning either the Santa or the deer. Please enter me in your giveaway. I have enjoyed reading your holiday posts. Merry Christmas to you, Barb & your family and many blessings in the New Year. All of their molds are beautiful! Thanks for the inspiration and generosity! Love the Santa, but the deer would be great for all of the deer hunters (they don't kill them just look for them and "shoot" the deer on the Wii games!) LOL! It's hard to decide. I guess I like Santa. But honestly, I'd really be thrilled with either. I'd love to be entered in the mold giveaway. The deer mold is my favorite. Dear Alma - what a lovely offering - I wouldn't be picky either as both molds are equally as appealing!!! Wishing you and yours the very best Christmas & a wonderful creative New Year. 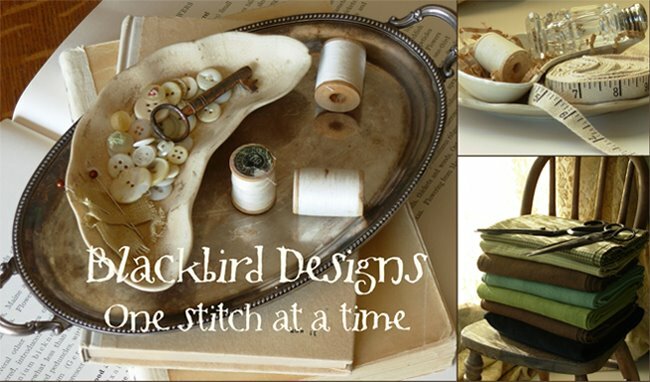 We are so fortunate to have Blackbird Designs in our quilting & stitching world. Oh, lovely! I'd be happy with either one! Merry Christmas! Both are wonderful giveaways!! How kind of you. I do adore that deer best I think!! Wilma you have such a heart, thank you for the opportunity! As much as I like that deer mold, I really, really love that old world santa! Thanks again! What a wonderful surprise, and with a given name, Virginia, of course I would pick the Santa mold. These molds are beautiful in themselves! What wonderful cookies they will make! I am enjoying your ideas for the Christmas season. I would be very happy with either mold. Thanks for the chance to win. Oh, I'd love to have the deer. Thank you for all your contests. I would love to win the deer! What a sweet holiday treat! I would love to be entered. I really like the santa but would be thrilled with any! Merry Christmas! Nice giveaway! Santa is my favorite one. I would love to win the deer mold. Thank you so much for the contest!!! WOW! What an awesome giveaway! Now to choose..how hard. I think the Santa though I'd love either. Thanks so much--I was really looking hard at all the lovely molds after seeing your beautiful cookies. This is so thoughtful of you. I would love to have either mold, but Santa would probably be my first choice. Here's wishing you and your family a very blessed Christmas. Alma, you are always so generous! What a wonderful holiday giveaway. I would be tickled to win either mold! Just found your blog a few days ago and instantly became a follower. Love everything about your blog. I would love to be entered and I am partial to the Santa but would love to win either one ! Thank you soooo much for a chance to enter such a generous giveaway ! Oh, these are wonderful! I like the deer best. You are so generous to give these away, thank you for having such a great blog and fun contests like this! I love the molds. They are really cool looking. I like the Santa best but I love the deer also. You decide! What a lovely give away- very sweet of you at such a busy time of year! If I were lucky enough to get my name pulled from your Santa's hat I would love to own the Santa mold. He is my first pick with Rudolph a VERY close second! They are both gorgeous! Thank you for giving me a chance to win one! Have a wonderful Christmas! You are much too generous. If I'm so lucky as to win, I'd be thrilled with either mold. They are so beautiful. I am a Santa collector, so that would be especially nice. Ohhhh..I would LOVE the deer. Someone said they meet you at Boxwood and Berries...I met you way back when at Saltbox Sampler! What, exactly, am I doing in south Florida? Not retired, that's for sure. Please add my name to your drawing. Either design would be wonderful. Thanks so much! I'd love to win either mold -- any mold! lol! I have yet to acquire one on my own. Thanks so much for the contest! You ladies are one class act! What a great gift- I love the reindeer the best- thanks for doing this! I would love to win either mold. Thank you for the give away. I'd be thrilled to have either one as it would be my first! Have always wanted to try these but never have. What a great gift. Santa would be my favorite. Merry Christmas. I would love a chance to win the deer mold, but would be happy with any!! I love your blog, try to get to it every day to see what you are sharing with us, it is always so interesting. I have shared it with friends too. Thank you for this lovely offer. Merry Christmas to you and Barb. I would love to win the dear mold. I love the Santa mold. Love the molds but would especially would love to win the Santa mold. I haven't seen molds like these before. Boxwood & Berries was an incredible experience and I've already signed up for next year. Thanks for all your help. These are beautiful. I love the Santa the best, but they are both wonderful! I would love to win the Santa mold! Sweet sweet sweet! I would love to win the Santa mold ~ thank you so much for opportunity. Happy Holidays! I would love to win a mold. My favorite is the Santa, but I like them both. I Love the deer mold!!! this molds are a dream.Thank you very much for these beautiful gifts. I love them both, so if I'm lucky enough to win one you can send me either one and I'll be thrilled with it! Wow how beautiful. I would love to be entered in for the deer one. May you and yours have a blessed Christmas. Alma, would love to win either one, but Santa I think is "calling". Have a wonderful holiday and keep up the great reading and "eye candy". I would be happy to have any of these beautiful molds. I I had to pick one, it would be the Santa. Oh I love the deer we live in a woods and they are all over the yard! would love the reindeer if I'm a lucky draw! I just love these molds and would love to win one. Thanks for organising this. Those are beautiful molds! I like them both, but am leaning more towards the deer. Just lovely! You are so kind. Merry Christmas & Happy New Year! I love the Santa mold-thanks for the chance to win. Oh-it was fun to see that you have a nursing background in L & D- mine also and now I work in a gynecology office. Happy stitching and Merry Christmas. Alma ~ Better late than never! What a great idea they are both gorgeous but I love the Santa. Please, enter me in your contest. The molds are wonderful, Alma! I would be thrilled if I won either one. 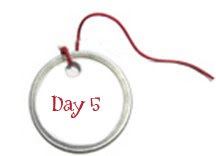 I really enjoy reading your blog and the twelve days of Christmas tips. What a wonderful contest. I loved reading your post where you made the cookies in the molds. I even went and looked at them. I would love to win the reindeer. What beautiful molds, I have never seen anything like them before. Please enter me in your draw, I would be more than happy for either of them. Thanks! What a generous gift! I loved the cookies you posted the other day. So much so I had to drag my husband off the couch to come and see them, they were so beautiful! I would love either one, but the Santa is my favorite. Take Care, and have a wonderful holiday! How generous! I would love either mold...they are beautiful! Please enter me in your draw. I wish you and your family a wonderful Christmas! Please enter me - I would love either mold - Thanks! I love the Santa mold. Thanks so much for your blog and your generosity. Happy holidays to you and Barb! I love the molds and have wanted to get some for awhile. I see molds like this, here in Germany, at our Bazaars, but have never tried them. It is so sweet of your offer them. I would be happy to win either one. blog and try to check it every day. take either if I were lucky enough to win. Alma, I would be thrilled to win either one of the molds. They are wonderful! What an amazing gift, how kind of you. I wouldn't mind which one, but maybe Father Christmas if I had to choose. 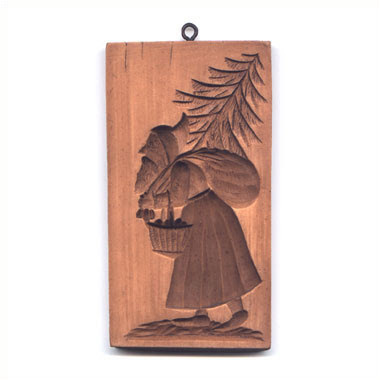 I am a great Santa collector and would love to add the Santa mold to my collection. Thanks for the opportunity and have a Merry Christmas! Ouah ! Thank you for so Nice presents ! Hope I could win one . I really don't mind if it is one or another. Thank you Alma ! What a fantastic giveaway! Ever since you showed these moulds my husband and I have been drooling over them. If we can ever decide which one we like think we will order one for next Christmas. I'd love to win the Santa one. Oh Alma - what a wonderful giveaway! I saw your post about the cookies and had to check out their website, they are beautiful cookie molds! If I was lucky enough to win - either mold would be a fantastic gift! Merry Christmas to you and Barb and thank you for all of your beautiful charts this past year! I loved the pictures of your cookies that you and your friend made. They were gorgeous. So, another contest!! Super duper. I like the deer mold the best. Perhaps my daughters and I could make some of the cookies together. Best wishes for a merry Christmas and a blessed New Year!! These molds are so cute it is hard to decide. Well, either one would be just fine! Thanks for the chance of winning one of your cute molds. Love the Deer mold and will look up House on the Hill. I like the molds you are showing, especially the deer one. We are using them also in the Netherlands for making cookies ("speculaas") on December 5th "Sinterklaas". You can also buy here very big ones for large cookies, like dolls. I remember my mother using them but I don't have one myself so that would be fun - using it for Xmas next year. I wish you and your family great Xmas holidays and a very healthy and happy 2010. The moulds are beautiful and I would have either in my home... Merry Christmas from Spain !! Following your post back in April I fell in love with these molds. We have nothing like them here in the UK. I finally got round to ordering one from House on the Hill last month just before their cut-off period for overseas deliveries. Come the New Year I will be studying their catalog again. If only I could perfect the cookie making process! Would love the chance to win either of yours. I would love either one! I have never used a mold before and I think I would like to give it a try. Thanks a bunch! The Reindeer is my favorite. OMG, these are wonderful. I saw your cookies the other day and was so tempted. What a generous give away Alma (and Barb). Hi Alma, the molds are truly delightful and I remember thinking that when I read your earlier blog and saw them in use. I would love to own either one and would promise to give it a safe haven in my warm kitchen. Merry Christmas to you and yours and thankyou for being so generous. I would love either mold Alma, they are both so lovely.Please include me. Happy Christmas. What a great contest! Someone in my quilt group makes us a bag of these cookies every Christmas, and they are almost too pretty to eat. Reading your post made me want to call her up and ask her to bake with me. Have a Merry Christmas yourself. Oooh, can I please be entered? I'd love either one! Thanks for this lovely draw! Please enter me in the mold contest!!! What a great idea, you are so thoughtful about sharing goodies with your readers. I would love to win either mold. Alma, how generous of you offering the molds. I think they are so beautiful so please enter me in your drawing. Merry Christmas to you and your family. Enjoy your holidays. Thank-you for the opportunity, Alma! Merry Christmas! Hello to you, Alma..I'm way over in Perth, Western Australia..and my son is in Richmond, Kentucky..LOL.. I love reading your blog and seeing all your beautiful creations.. You are very kind to share such lovely gifts with us..I love the Santa mold, but either would make me perfectly happy..
Have a blessed Christmas with your loved ones.. Thank you for offering such a delight at a busy time. I have not ever made any cookies using this type mold but after your post, it has me thinking I should try it sometime. I'd love to win the Santa one. Merry Christmas! Hi Alma! Many thanks for sharing all these beautiful things and ideas for the holidays! These molds are wonderful. I would be happy to win the deer. Have a Merry Christmas and a Happy New Year! How sweet! I would love a chance . . .Thank you! When I saw these on your blog Alma I fell in love with them,we have nothing like these here in the Uk so I would love to have the chance to win one please. Hope you and Barb have a joyous holiday time. What a great giveaway, they are wonderful. My favorite is the deer! I consider myself a winner because you introduced me to House on a Hill. I have ordered the Santa Mold but would be delighted to win any of the others. I would love to win the old time santa mold but anyone of them would be terrific. Merry Christmas and have a great New Year! I would love to win one of these. You are very generous. The deer is my favorite. Alma, these are such beautiful molds. I really like the deer. Thanks for sharing all your great adventures! I would love to add one of these to my collection. Thanks for your generosity, Alma. I love both of them! It is so nice of you to do this. I think both molds are wonderful. But I'd love to win the deer! Thank you for this generous giveaway. Happy holidays! 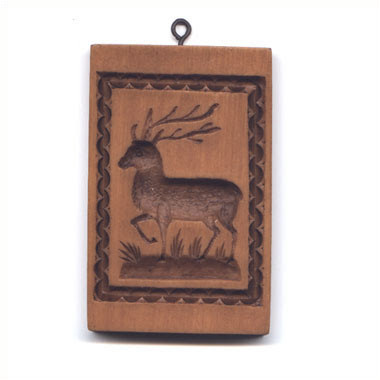 Hi Alma: Would love to win the deer - have never gotten any of these molds but would love to start with one from you..... Fingers crossed, but so many are already entered! Janet in Nova Scotia, where it's snowing! You are as kind as ever! I'd love a chance for the deer mold. :-) I already have a santa one. How very generous of you, went to the site yesterday and was thinking I would like to order some of the molds and the Santa was one of them. They're beautiful! Would love to win one! Oh wow, 179 entries. I would love the deer but you know, Santa is just fine. Oh they are beautiful,,,I would love to win one and I really like the deer one,,Merry Christmas..
Hi Alma & Barb....I would love to give these cookies a try! They are lovely...almost to pretty to eat. I love the Santa mold but would be very happy with either one. Thank you for all you do. Love the 12 days of guilt free relaxing! I'm doing my best to relax. Warm holiday wishes! They are both really nice. Hope you are enjoying the holiday season! You are too generous! I would love to have any of their molds - so, if I am lucky enough to be picked, just surprise me! What a wonderful gift to give---love them and really enjoy your blog. Carolyn H.
Hi Alma and Barb,Please enter me into the contest..Surprise me..I like bothe of the molds, either one would be great to win..thank you..Debbie T.
How wonderful! The cookies and molds are gorgeous. Would be thrilled to win either! I would love to win the deer mold...I ordered the santa mold after I read your wonderful blog. The cookies LOOK fabulous! Wishing you and yours a very Merry Christmas! The molds are amazing! I would let you pick which one as either would be special. Love them both, but I'd love to have the DEER mold with the border! Have a very Merry Christmas! So generous of you!! I saw your pictures of cookie making and had to jump to the link. Amazing . . . the internet is so dangerous for my pocketbook. I would love either of them! Alma, What a great giveaway. I collect santas, among other things :) and would love to have him in our home. Thank you so much for your blog and all you do. Merry Christmas to you and your family. I love both of the molds! These are absolutely beautiful! I would love to win one. Thank you for the chance. You are so generous. Merry Christmas. I was blown away by the beautiful cookies in your post. I would love to win the molds! Happy holidays! !